Chu Chi is not as popular as many tourist destinations in Vietnam but is gradually making a name for itself. Chu Chi Tunnel is found in Southern Vietnam 40 km NW of Saigon. What is Chu Chi you ask? Chu Chi tunnel is a vast underground passage that is about 250 km that is just below the city. 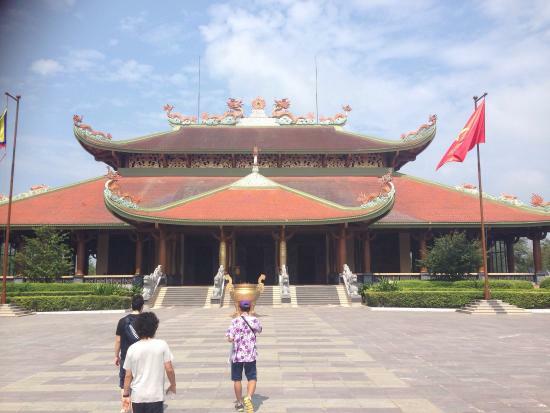 What is fascinating about it is that it is formed during the French colonization era about 1940 that was dug using bare hands and simple tools and it expanded in the 1960s during the Vietnam War. They built this elaborate tunnel to provide relief, defense, and refuge from the conquering soldier of the US. Since during the Vietnam war, bombings are everywhere and people were able to survive and continue their lives. This tunnel played a vital element in their survival. Most buses leave Saigon at around 8 am, so if you are not a morning person consider renting a car. In Pham Ngu Lao tour operators usually charge a maximum of $75 or lower to return by private car. If you are up for adventure and wants to travel independently, catch bus 13 with is from BEN CV 23/9 stationed near KFC restaurant or between Nguen Thi Nghia and Le Lai at the west end this will take you to Chu Chi. You will have to spend 7000 VND for the one and a half bus ride and when you arrive at the Chu Chi you will still have to hire a motorcycle driver and pay around 100,000 VND for a 20-minute ride. You need to haggle or negotiate to pay for less because some drivers will ask for about 200,000 VND for the starting price. You need to be wise and conserve your money. 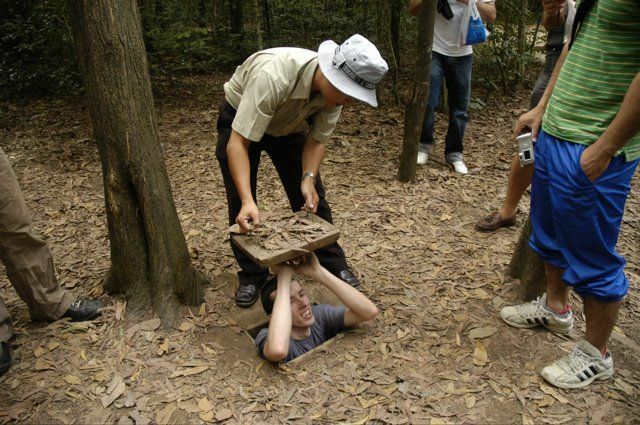 The tunnels admission rate is about 90,000 VND at either Ben Duoc or Ben Dinh. Some guides speak fluent English and others are not. There are actually 2 tunnel sites that most tour information and guidebooks failed to show or tell which is open for visitors. Ben Duoc is about 30 minutes extra ride which is further out of Saigon is as exciting and as colorful as Ben Dinh. They are also operated by the same organization. This tunnel is not as crowded as its counterpart but you will need to have a driver or a car to go there. The private tour may cost you about $75 or lower with a driver. Ben Duoc tunnel is about one and a half to a 2 hours drive and the tour is about. One more thing to look after this tunnel is that you can visit Ben Duoc Temple. There are also many great restaurants at this site that tourist can enjoy. The other site is the more popular which is the Ben Dinh. This is where most tourists go and it is crowded. The Ben Dinh site is enlarged for tourist and is not really a part of the real tunnel. You may find bats, and lots of insects so might as well bring insect repellent (do the same with Ben Duoc site). Both sites showcase spaces that feature where people at the time sleep, eat or crawl, therefore some spaces can be tight (not a good feeling for those who are claustrophobic). 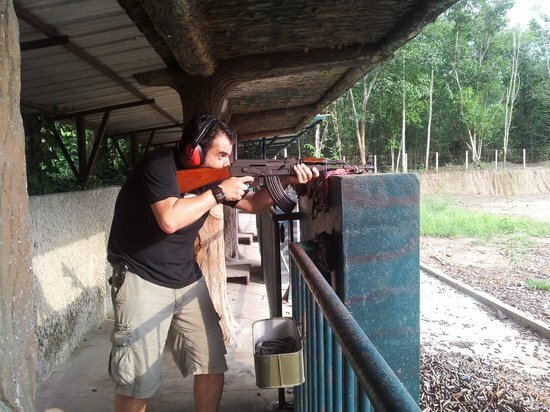 You can also find some weapons like Russian SKS, Machine guns, M1 carbine etc which you can fire for fun at the firing range that will cost you about 35K dong per bullet (you need to buy at least 10 and you may share it with a friend. Another thing you can do in Chu Chi tunnel is checked their souvenir shops which are found at the end of the track and when you get hungry why not try eating traditionally boiled tapioca and other treats.